Bruckner's symphonies form the backbone of Late Romantic symphonic music. Indeed, he can be said to have reinvented the symphony – something that not even Liszt or Wagner had dared to do in the wake of the groundbreaking masterpieces by Beethoven that until then had ranked as the climax and end-point of the genre. It was Bruckner and, somewhat later, Brahms who sought and found new methods of reviving the symphonic genre and developing it further. In this regard, Bruckner's approach was entirely new. From the outset, he relied on the sound of the large orchestra, and rather than mixing the individual groups of instruments he tended to either separate them from each other or couple them together like organ registers. Terraced dynamics, that is, the immediate juxtaposition of piano and forte without transition, was also something Bruckner derived from the organ. As a church musician, he had close contact with these and other elements of Baroque music, and they flowed into his symphonies. As far as dramaturgical development was concerned, he tended to favor Schubert; indeed, it was the organic continuation and alternating interconnection of themes Bruckner had learned from Schubert that also explains the unprecedented performance length of his symphonies. 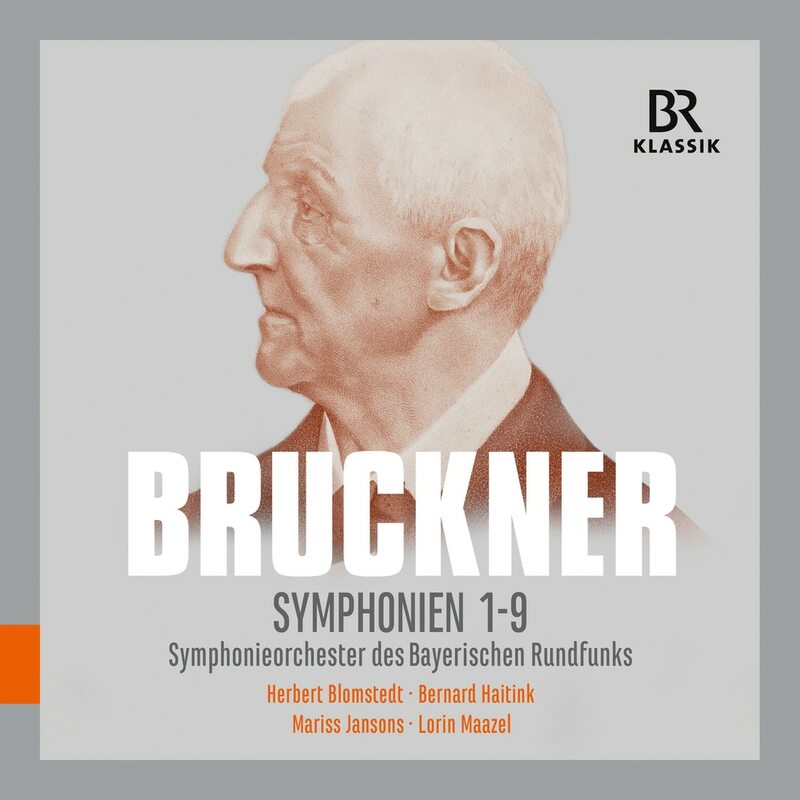 Bruckner's Nine Symphonies are a constant in the repertoire of the Symphonieorchester des Bayerischen Rundfunks, as in those of all major orchestras. The special feature of the release being presented here by BR KLASSIK is that the recordings are conducted by not only one but a total of four conductors closely associated with the orchestra, all of them proven international Bruckner experts. More than in any other compilation, common features in interpretation (also due to the same orchestra) as well as fascinating differences due to the various interpretive approaches of the respective conductors can all be detected. In these recordings it also becomes clear what brilliant contributions Herbert Blomstedt, Bernard Haitink, Mariss Jansons and Lorin Maazel have made over the decades to Bruckner’s symphonic oeuvre.